The one thing that Trump has really devoted his energies to since ascending the presidency is playing golf. He has so far played golf 41 times since taking office six months ago and has spent $55 million in taxpayer funds to do it. The way a man approaches his passion can tell you a lot about his character, and an upcoming expose by Golf.com’s Alan Shipnuck has some very interesting tidbits to share about the President. As a man who loves his ratings and all measures of numerical prowess that provide the concrete affirmation his hypersensitive ego yearns for, it is very curious to note that the President has only officially recorded three scores since 2014, giving him a handicap of 2.8. This is because Trump essentially cheats at golf. 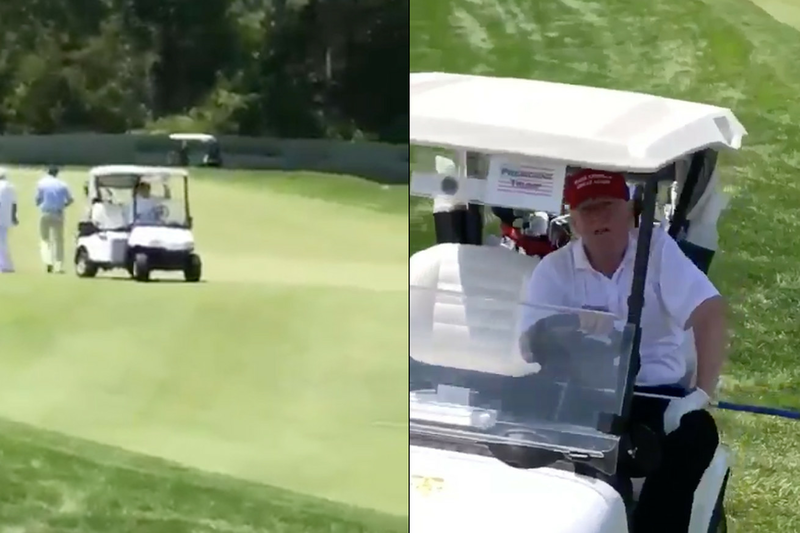 "We can't come up with a good reason for driving on the green (actually, we can think of a lot of bad reasons for doing so), other than the fact that when you're president and own the golf course you're playing, you have free rein. Yeah, we'll leave it at that." This is a pretty accurate metaphor for Trump’s entire life. When he makes a mistake, he just pretends it never happened, cushioned by his inherited wealth and his privilege. He simply takes another shot, and again, and again, never having to account for his mistakes and always walking away with a clean slate. Thankfully, the looming Trump-Russia scandal is making it look like he’s not going to get a second shot at the presidency. Why is sea rising faster along the East Coast? Business as usual: Nazis, good or bad? Are George Washington and Robert E. Lee the same? Breaking the breaking news cycle.